We are still working out the details for what makes a planet suitable for life, but using our own planet as a model is a good start. In a new study, researchers have looked at two Earth-like exoplanets in the habitable zone around their stars, and discovered that they are likely to have a very stable axial tilt. This is likely to guarantee a stable climate, which is very Earth-like indeed. 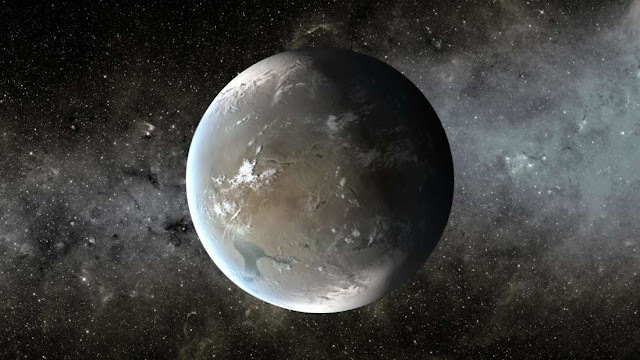 Published in the Astronomical Journal, the research reveals Kepler-186f, an Earth-like planet 500 light-years away, has a lot of good characteristics to be considered habitable. It’s at the right distance from its star, it is rocky, and about 10 percent larger than our own planet. Similarly, Kepler-62f, a super-Earth located 1,200 light-years away, is a suitable candidate for life. Importantly, the study shows that these two planets' axial tilts can be stable for millions of years, so no dramatic climate variations in different regions of the planets. “Our study is among the first to investigate climate stability of exoplanets and adds to the growing understanding of these potentially habitable nearby worlds,” co-author Professor Gongjie Li, from Georgia Tech, said in a statement. Earth's axis only changes slightly over thousands of years, so we have regular seasons and a stable climate (relatively), while Mars’ tilt changes wildly, up to 60 degrees. All the rocky planets influence each other, but luckily we have the Moon to keep our tilt in check. Mars is located in the habitable zone of the Solar System and yet it doesn’t look it. It’s a frigid desert, with a very thin atmosphere that has been eroded over billions of years by the solar wind. The wild swings of the Red Planet’s axis might have played a role in turning Mars into what it is today. The discussion of planetary habitability is a complex one. We have just started looking at how we should search for life on exoplanets (this is what NASA suggests), but this new study clearly gives us plenty of food for thought. “I don’t think we understand enough about the origin of life to rule out the possibility of their presence on planets with irregular seasons,“ said lead author Yutong Shan, from the Harvard-Smithsonian Center for Astrophysics.